Strolling along Mohamed Sultan Road always brings back fond memories of the past when the area was a popular hang-out for some drinks. 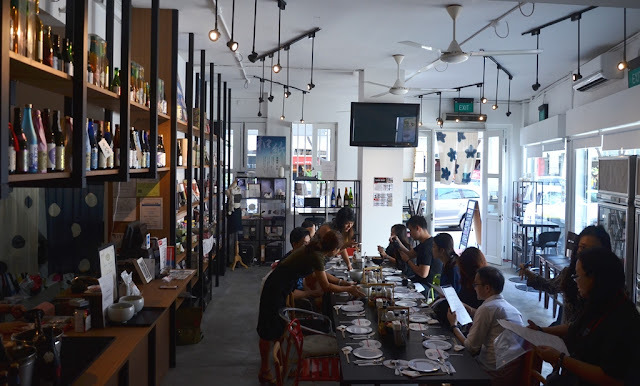 Nowadays, the stretch of shophouses has transformed into an array of restaurants with a focus on Japanese cuisine such as Fuku who specialises in their puffer fish! 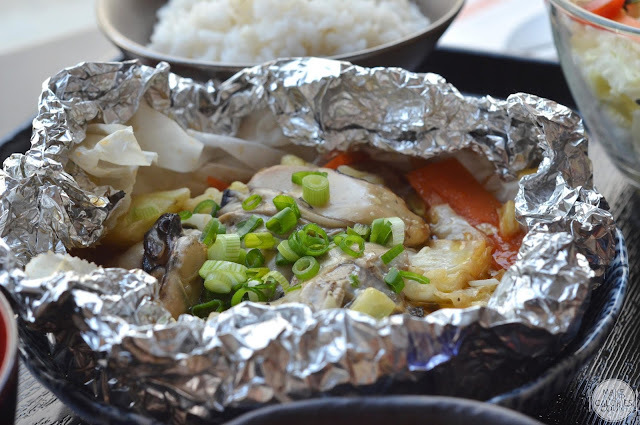 While most would be familiar with the commercial Japanese restaurants such as Ichiban, Sushi Tei or even some of the higher end establishments such as Aoki and Shinji, I would struggle to single out one place which serves home-cooked food. 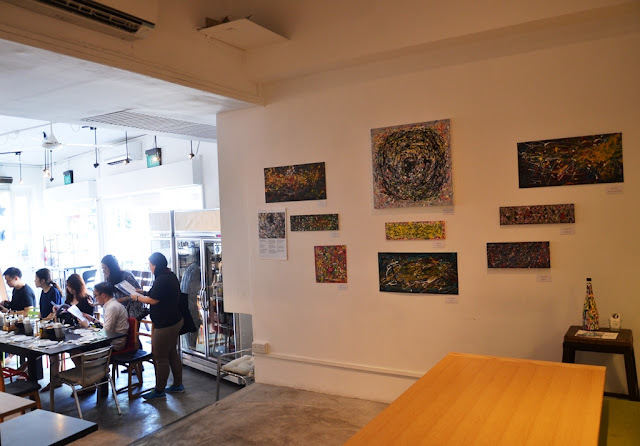 With that in mind, IPPIN Cafe Bar was started in October last year with the promise of bringing Singaporeans the Japanese home experience. After a chat with Chef Ayomi, we learnt that my favourite sashimi, chirashi-don or even tonkatsu sets are not quite really your day-to-day dining affair back home in Japan. 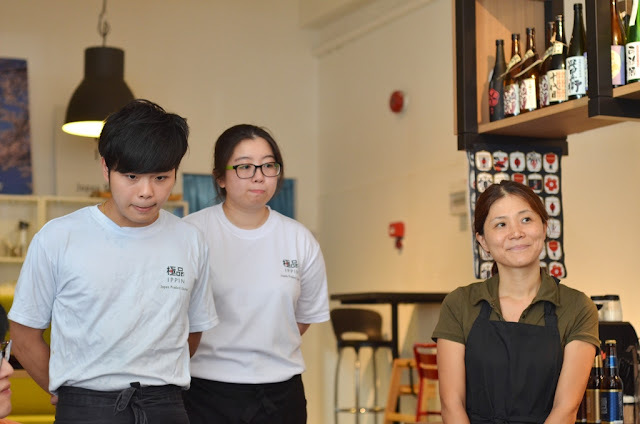 Prior to coming over Singapore, Chef Ayomi used to coach culinary skills in Hong Kong for four years so there must have been a fair share of good home cooks being nurtured! Quite frankly, I think we all grew accustomed to eating these or even your usual sushi and maki-rolls commonly found at most Japanese restaurants in Singapore, to the point where we naturally assumed that these are staple food for Japanese. That seems about fair since I am sure for most, our home-cooked food is not quite the same that you would enjoy at say Tung Lok or Crystal Jade. The gorgeous plush oysters are from Hiroshima Prefecture, which is the most famous area for oysters in Japan. Raised in clean ocean water, the oysters were extremely juicy and tasted fresh. Lightly battered, this was a slightly different experience from the grilled rendition as the crispy texture on the surface complemented the soft and fresh oyster underneath the coating. It was also served with a homemade mayonnaise dip that saw a blend of diced egg white with bits of egg yolk to add richness to the oysters. 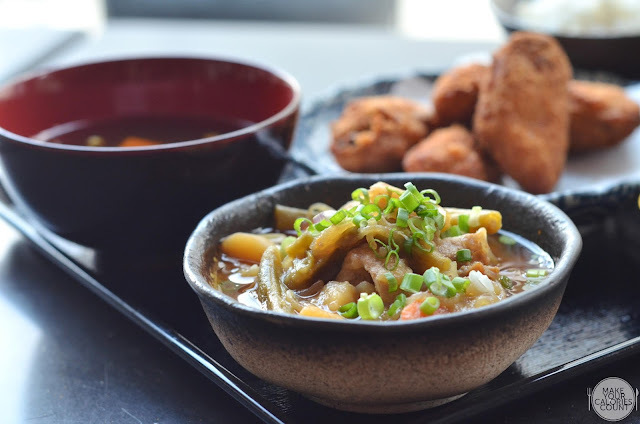 The Nikujaga pork and potato stew is a side that comes with either of the oyster sets. The rather savoury side saw a balanced blend of flavours, both sweet and salty that would have made it a lovely main standalone with a bowl of rice! 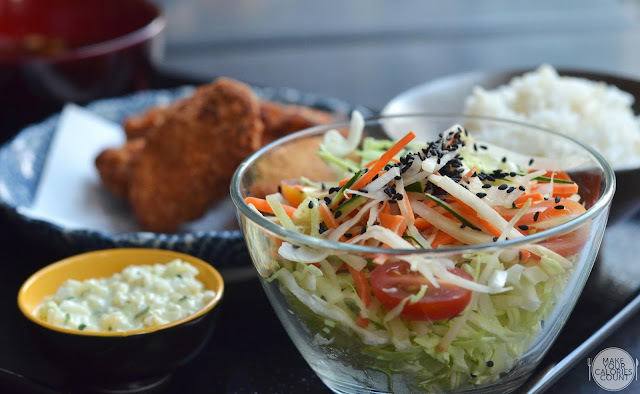 The salad side is also part of the set and with a few dressings to choose from such as tomato, ginger, kameya wasabi and even organic ponzu vinegar, that would certainly bring the sliced greens alive. What we enjoyed was the drizzle of black sesame seeds that added texture and fragrance to the otherwise plain salad shreds. The set comes complete with a small side dish and also the Hojicha pudding which is a roasted green tea dessert. 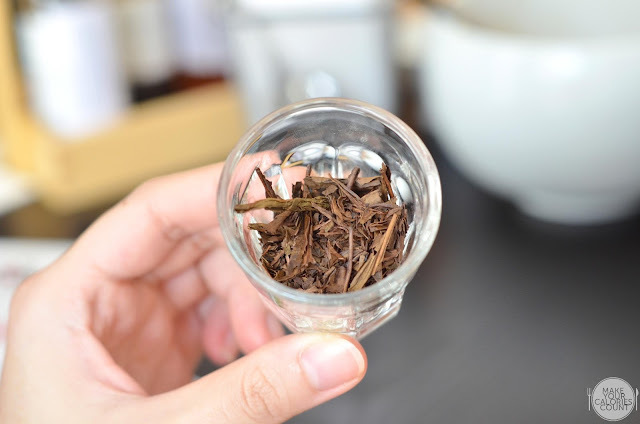 Brown in colour, hojicha is high in catechin and low in caffeine and tannin hence making it suitable for adults and kids alike! Like its deep-fried counterpart, these oysters were also well-cleaned with no hint of grittiness from sand and grilled in ponzu butter sauce, it delivered a satisfying balance in flavours that left each mouthful refreshing. The set similarly comes complete with rice (blended with barley for extra nutrients such as Vitamin B), Hatcho miso soup, Nikujaga pork and potato stew, salad and the Houjicha pudding. 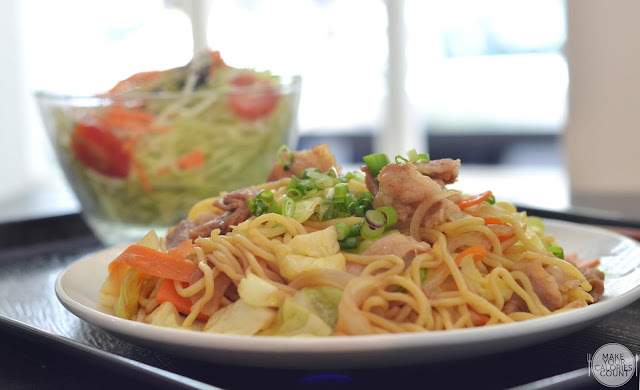 A simple dish that resembles our Chinese egg noodles, this Yakisoba is a Japanese daily food which actually originates from the owner dad's recipe. The key to the dish is the savoury sauce that imparts flavours consistently to the noodles. 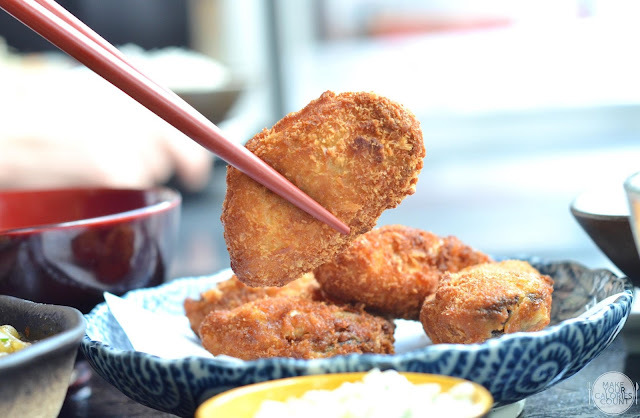 While it may seem quite a subtle dish for most, us included, it is arguably comfort food for most, not just Japanese! 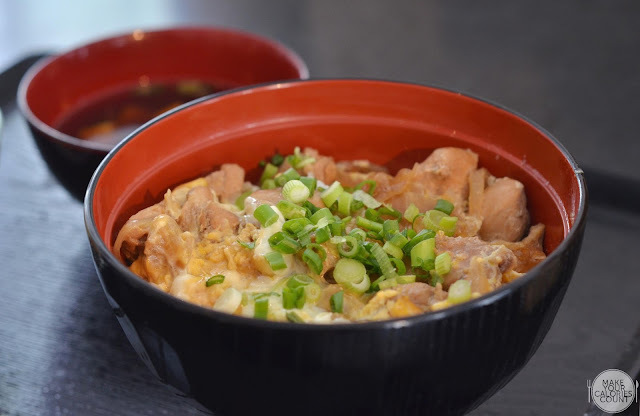 A popular dish for most, the chicken and egg on rice dish was one of my favourite among the dishes tried. It was simple, homely and I would have no problems enjoying another bowl for lunch or dinner. The essence of the dish comes from the dashi (stock) which was used to boil the chicken with special efforts to ensure that the chicken remains succulent. While some may find it a little too wet, we later learnt that as the secret to the dish lies in the stock, it was meant to be enjoyed like a porridge so do scoop up some of that lovely dashi! 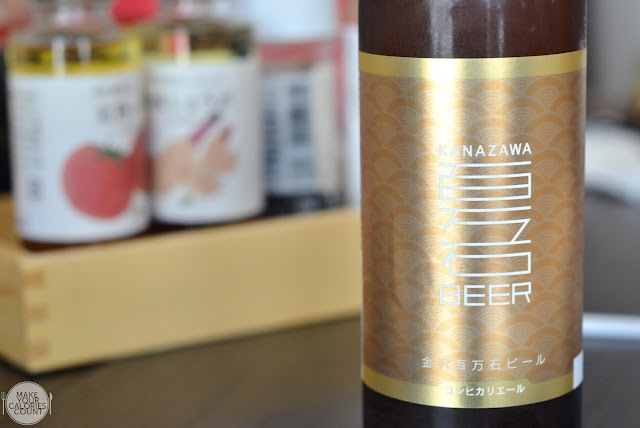 IPPIN is also the only place in Singapore to exclusively distribute the Kanazawa range of beer which in the Edo period, was an area governed by the famous Samurais. Hailing from one of the famous areas in Ishikawa Prefecture, it would be a sin not to try this beautiful drink. 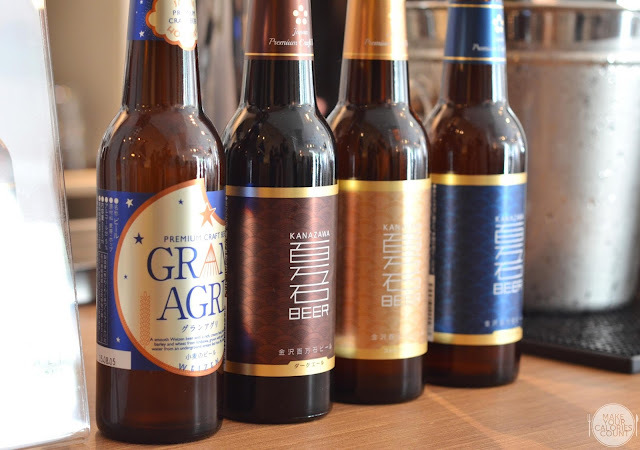 Among the four types of beer IPPIN carries, we tried the Koshihikari ale which is made from a type of Japonica rice. With a concentration of 74% malt, 25% rice, the taste is very light and exceptionally smooth so even the ladies would enjoy it! We had the Tokugawa Ieyasu Daiginjo which was served in a rather unique fashion, or at least it was the first for me. A typical shot glass sits within a wooden cup that is made from cypress wood which has a hint of fragrance. The friendly sommelier shared that the sake was overfilled so that the excess sake sits within the wooden cup. 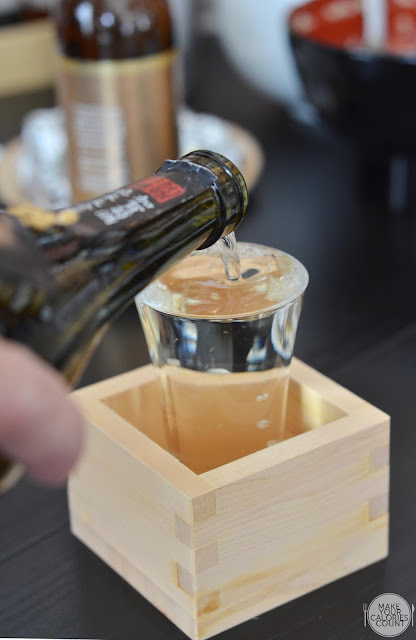 The faint fragrance of the cypress wood would be infused into the smooth-tasting sake and makes the sake even more enjoyable than when otherwise consumed in the shot glass. While I am not an expert when it comes to sake, we have been trying out several versions out of interest recently and learnt that Daiginjo is usually the better version as the rice is well polished (at least 50%), making it to the upper hand sake found in the market. 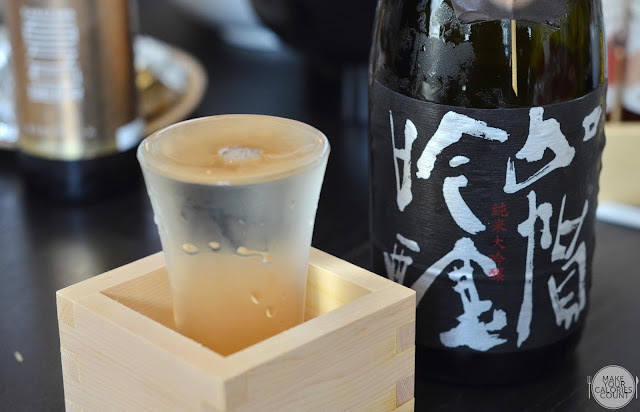 Like wine, there are however many parameters to benchmark the sake and ultimately it is subjected to individual's palate. Sake produced from the more polished rice would result in lesser impurity hence making it smooth. It is also advised for sake to be consumed at about 16 - 17 degrees celsius as that will allow the full flavours of the rice wine to come through so if it is taken out from the chiller, do allow couple of minutes for the sake to warm up! 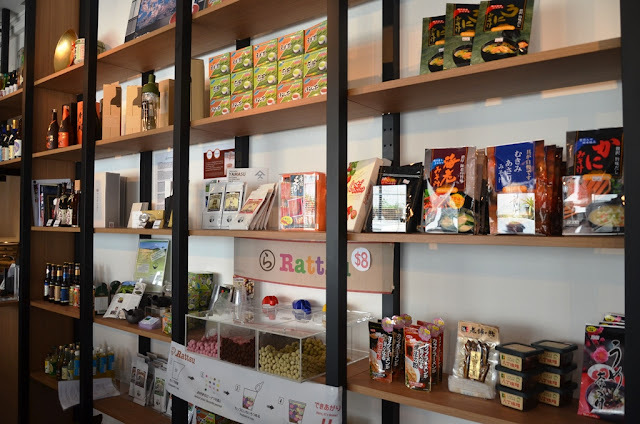 Serving more than just home-cooked food, IPPIN also has a corner that sells some of the popular snack or even the green tea served. Do go for their Sencha (green tea with a delicate sweetness balanced by mild bitterness) or even the Genmaicha (very fragrant brew that is stronger than Sencha). 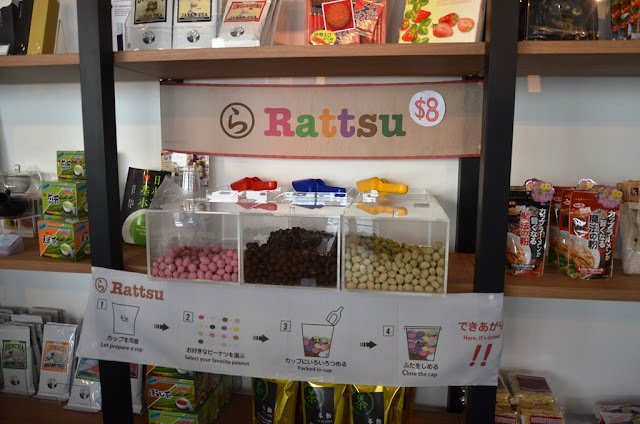 If you love to crack some nuts, do try out the rattsu, peanuts coated with strawberry, coffee and matcha flavours! Interestingly, IPPIN also allows children to have their art pieces on display! 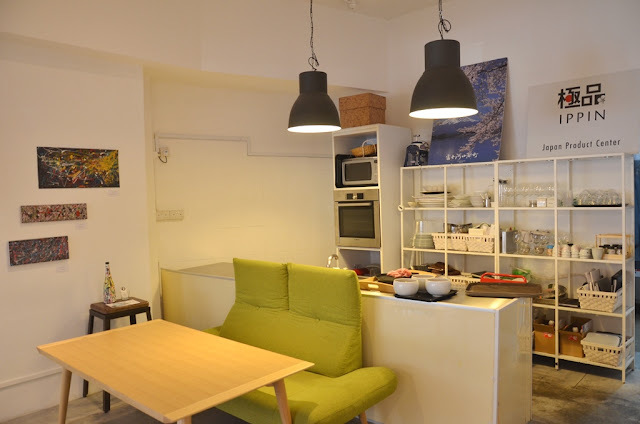 What we like about IPPIN is that it is almost like a home. 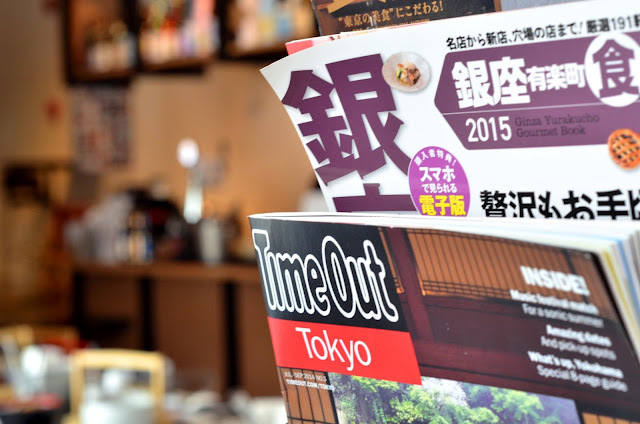 Apart from serving up a delicious warm meal, it is almost like a one-stop shop for Japanese or even the locals. 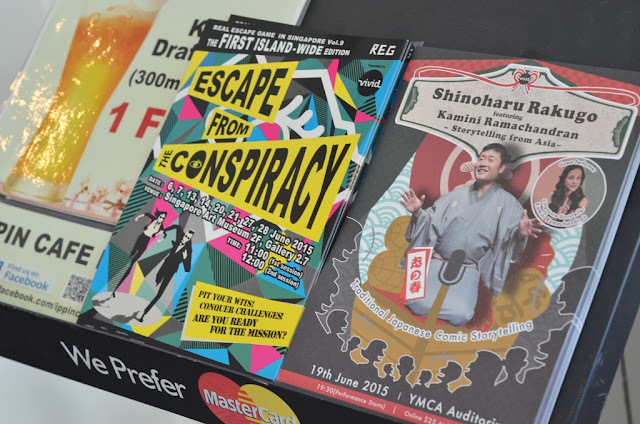 There are even Japanese magazines available for diners to browse and even brochures highlighting some of the upcoming events! It is almost like a lifestyle restaurant itself! The lady in green on the extreme right of the picture is the fine Chef who cooked us a sumptuous lunch! Overall, we felt that the dishes were well suited to our palate with a homely touch. All prices listed are nett with no additional GST or service charge levied and keeping the prices wallet-friendly surely make it more attractive. With various ongoing promotions such as 1-for-1 Kirin beer during happy hour, we should be visiting sometime soon to try out their other dishes and sake! P.S: Special thanks to Hazel for the invitation and IPPIN for hosting us!